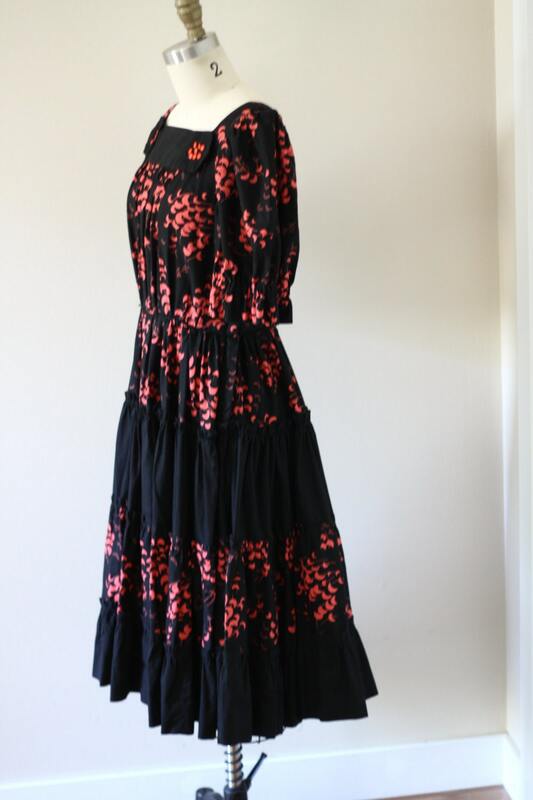 Beautiful and well constructed 1960s swing dress. 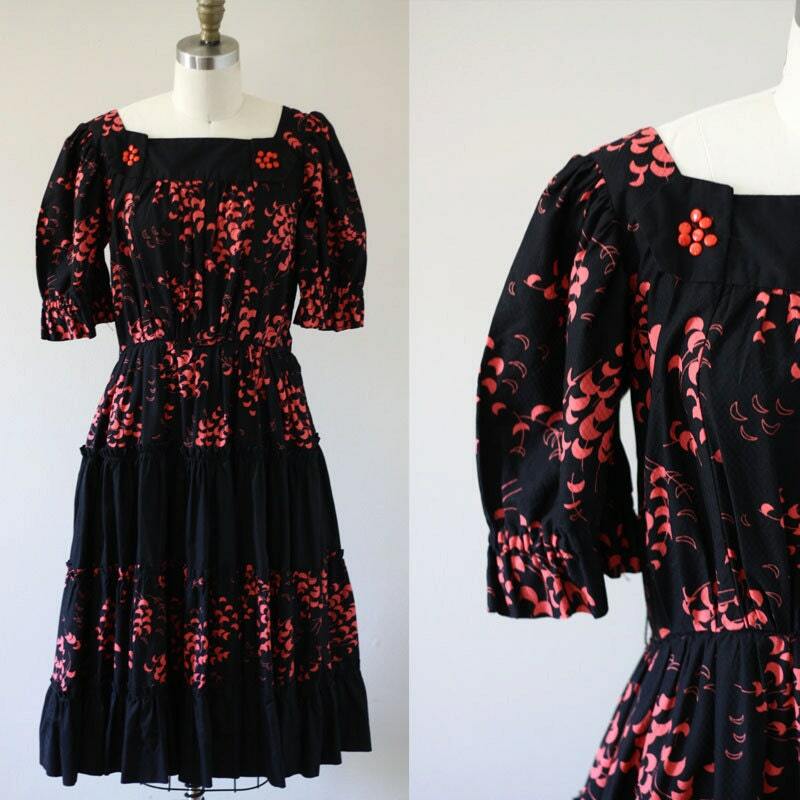 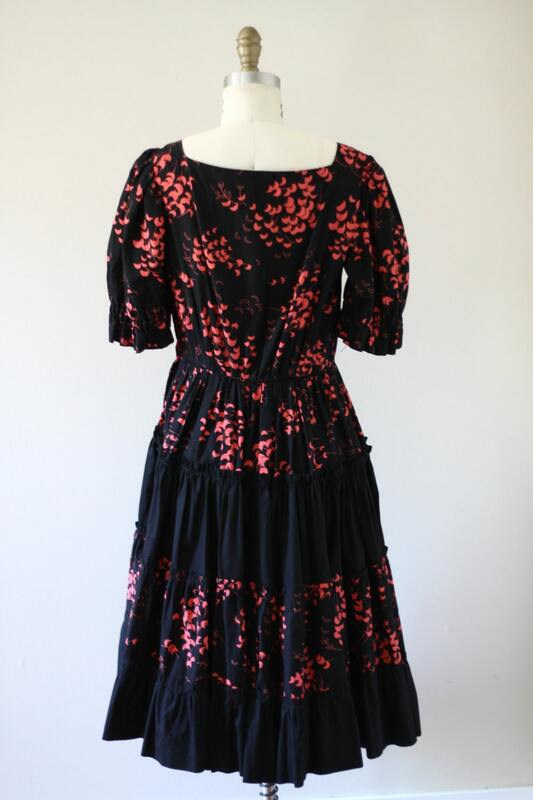 A dark black fabric with red half moon floral pattern throughout. 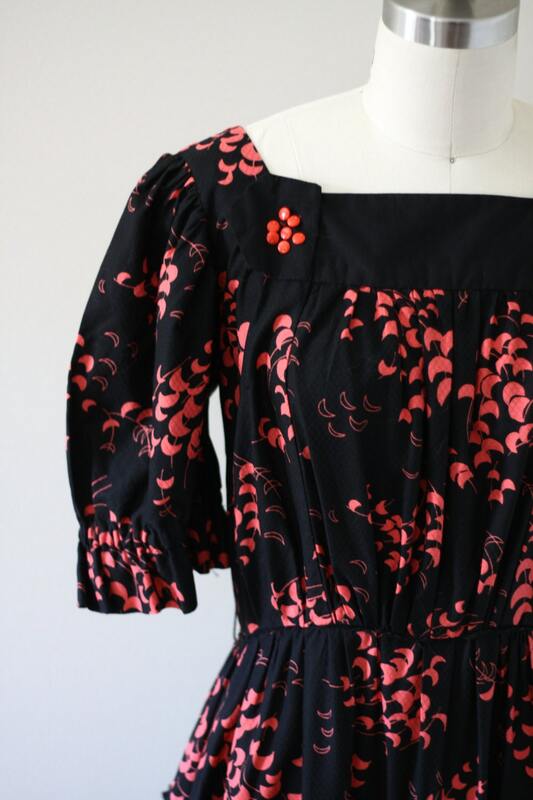 Small tiers of ruffles in the skirt giving the skirt a significant weight and perfect for twirling! 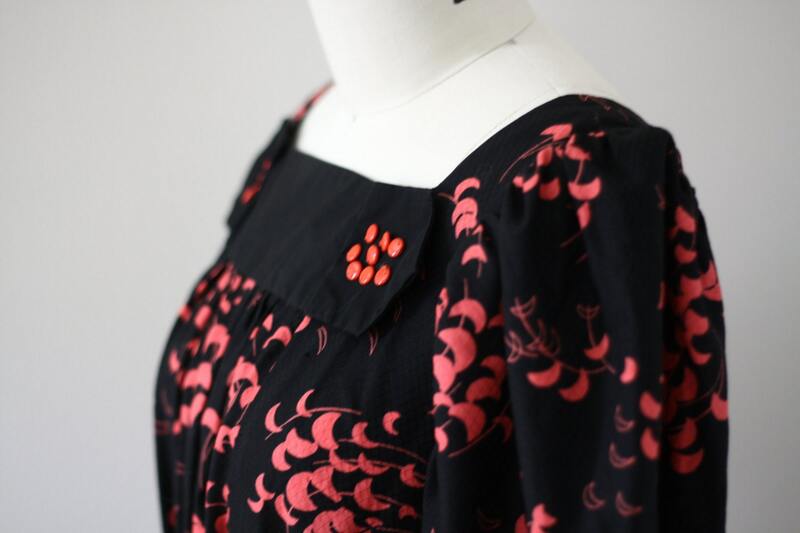 Short sleeves and a zipper closure running up the side of the dress.